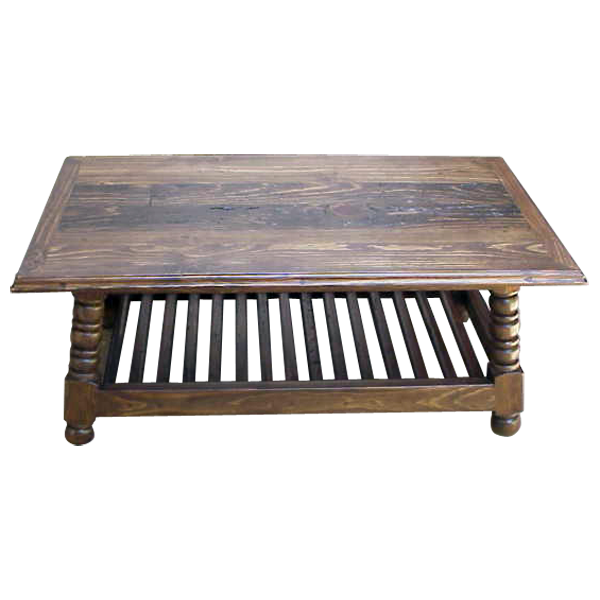 The antique, light finish of this handcrafted, Western style coffee table allows you to enjoy the gorgeous, natural grain of its wood. 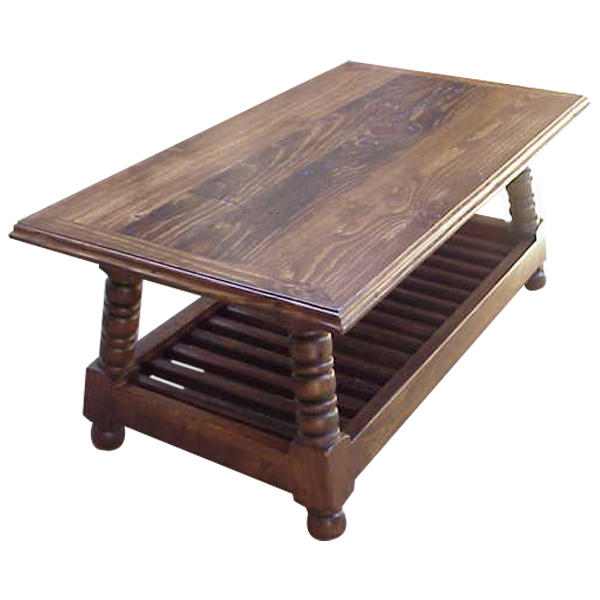 The coffee table has a rectangular, open top with a staggered, top rim. The top and the base are divided, leaving an open space between them. The table top rest on splayed, spiral, hand turned supports, and the supports are connected by the wood base. The base also serves as a practical shelf, and the shelf has a slat design. The coffee table has hand turned feet. Ii made with the best, sustainable, solid wood available, and it is 100% customizable.